It's about time... I've been writing about beautiful rooms for magazines for many years, and it's usually the designers who get most of the attention in a story. But designers are the first to tell you it's the behind-the-scenes artisans whose work can make or break a room, a whole project, and even their reputations. 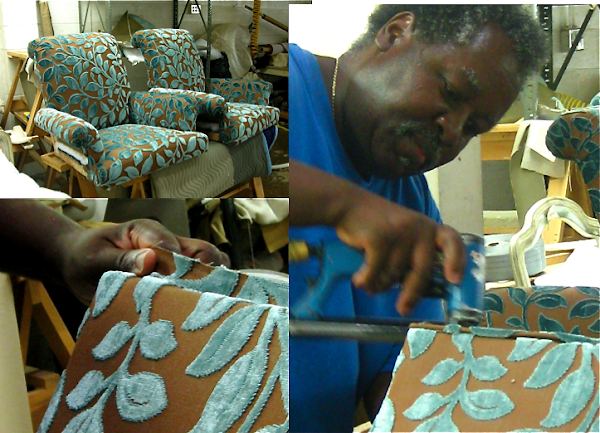 CUSTOM UPHOLSTERERS in particular work non-stop the week before a magazine photo shoot to get things camera ready, sometimes for free for their favorite design clients. The best ones donate their time and talent for show houses. 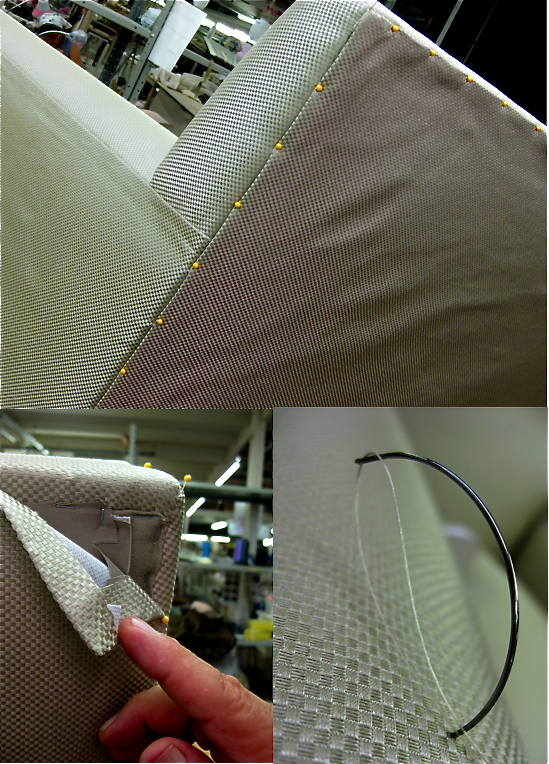 For a variety of reasons, upholsterers almost never get the credit they deserve: Space is limited in print magazines and there's rarely enough room to mention the supporting cast on a project. Understandably, designers often won't divulge who their upholsters are; they're afraid others might steal them or that they'll get so overrun with new business they won't have time for their regular customers. 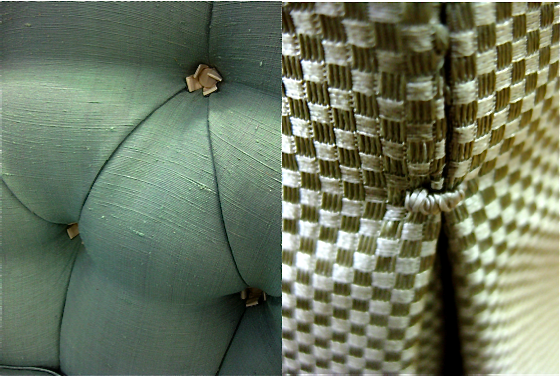 But upholsterers are the unsung heros behind some of the most dazzling homes in the country. The refined, highly skilled detail work, often referred to as dressmaker details, are perfected by the best of the best and can make a plain piece of furniture sing. Marroquin Custom Upholstery, owned by Jesus Marroquin and his family, is arguably among the top upholsterers in the country. He's the secret design weapon of Dallas designers Emily Summers, John Bobbitt, Paul Garzotto, and Betty Lou Phillips, all who are regular customers. "I describe Marroquin as the De Angelis of the Southwest," says John Bobbitt of the legendary New York upholstery family used by Peter Marino and the like. 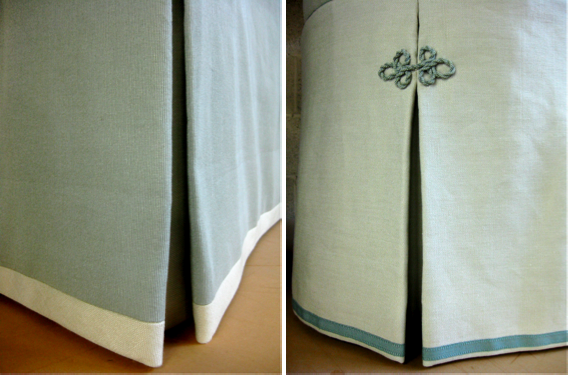 "Marroquin is capable of executing any kind of custom detail that I can come up with. They're especially good with difficult upholstery like horsehair, leather, and suede, and with fine nailhead designs, historic detailing and antique furniture." Jesus Marroquin oversees every piece himself and is notoriously picky and obsessive. "He won't rush a piece even if you're standing over him screaming," says Bobbitt with a laugh. "I have to say though, they always get things done on time." After producing a custom line of furniture for 21 years for a top Dallas showroom (many of Marroquin's pieces ended up in the White House and Camp David), Marroquin has recently moved on and, in addition to reupholstery work, is partnering with Nancy Caperton on a line of furniture at CULP ASSOCIATES called the Caperton Collection. 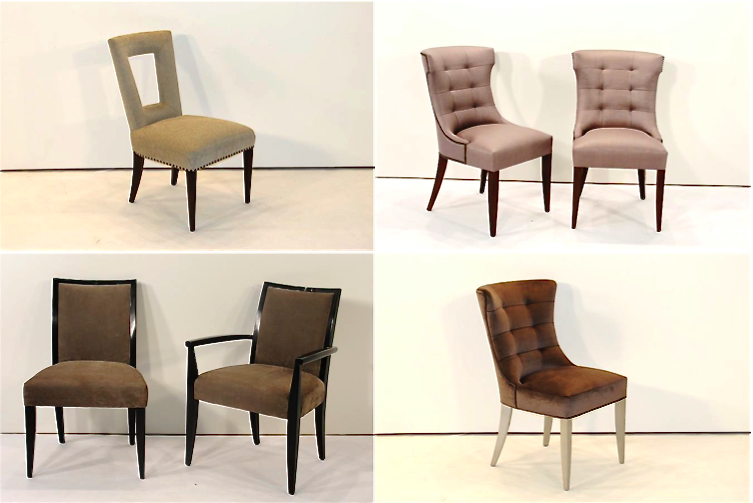 You don't have to be a designer to bring your furniture to be reupholstered by Marroquin, and they'll help you design a custom piece from scratch, with or without your designer. Jesus Marroquin was 23 years old when he came to America in 1973, and like most immigrants from Mexico, he came across the river. A priest picked him up in his car and asked where he was going. "I said Dallas. I just liked the sound of it," says Marroquin, who by then already had years of training and experience with some of the top furniture upholsterers in Mexico City. 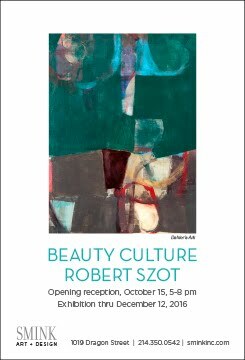 Soon, he started working with well-known Highland Park upholsterer Art Jones and his son Robert. 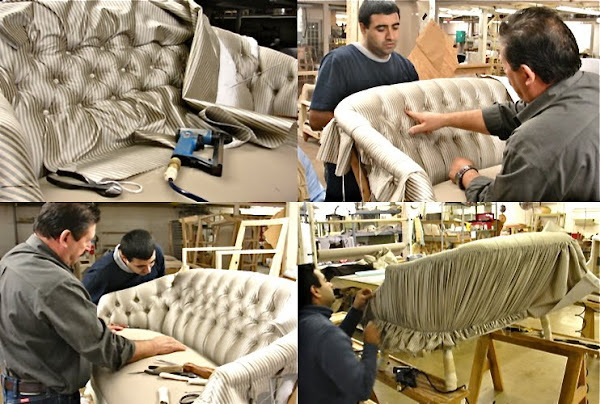 By the time Marroquin left ten years later to start his own reupholstery company, they'd produced a line of furniture and opened 20 showrooms across the country. Marroquin married wife Elsa in 1980, and their four children, Monica, Ivan, Adrian, and Andres, now work in the family business, doing a variety of jobs from marketing to accounting, shipping, and designing. All of them have trained on the floor, learning how to upholster furniture to their father's exacting standards. "You can't expect to be upstairs on the computer taking orders if you don't know how a chair is done," says Ivan, 27. 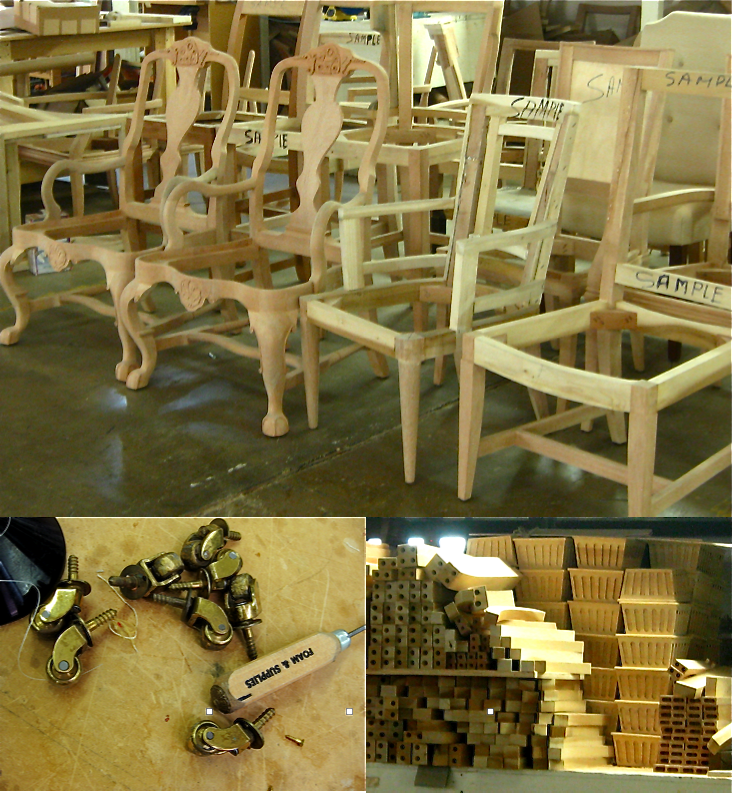 A custom chair in progress. 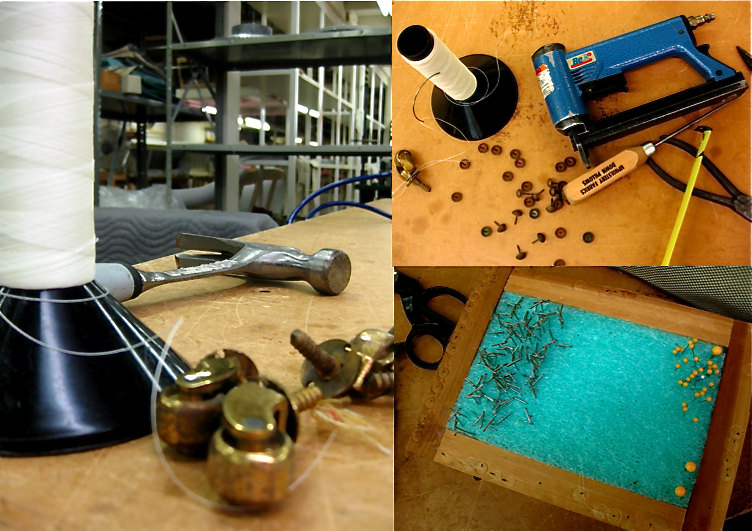 Everything is meticulously hand finished. Marroquin bought a 55,000 square foot warehouse space near the Design District in 1999. Depending on demand and the economy, they employ between 45 and 20 full time people, including head tailors, seamstresses, carpenters, tanners, painters, and master upholsterers. Some have been with Marroquin for 26 years. "It takes five years to train people to do the quality we require, and we always start with ones who already have a lot of experience and knowledge," says Jesus. "Quality is the biggest thing for us, and it takes time to train employees to understand that. It's easy to just let the little things go. It's a lot harder to find the flaws that the clients won't see." 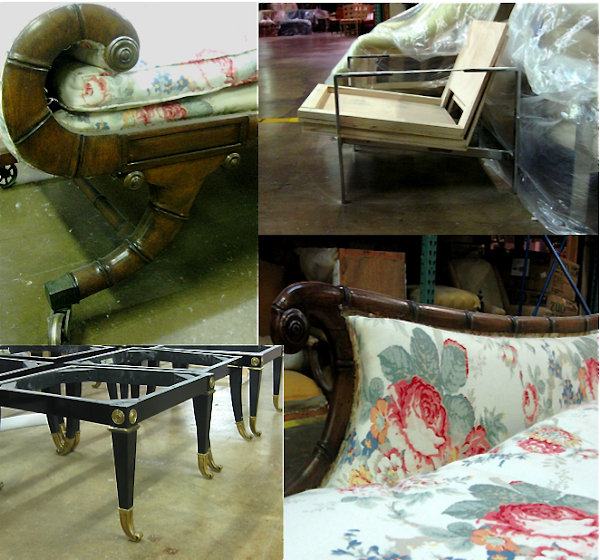 Daybeds, chairs, and stools waiting to be reupholstered. completely redoing the springs and webbing. 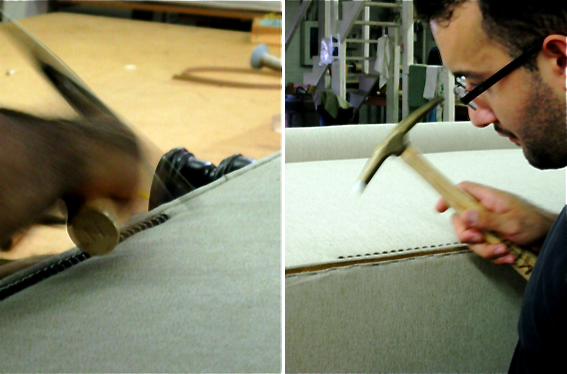 On average five people will work on a single piece of furniture to be reupholstered. "The team works together otherwise we couldn't do it," says Jesus. "But I'm involved in everything, even the smallest piece that comes in." Each employee has years, if not decades, of experience specializing in a particular detail of work, including springs, nailheads, skirts, button tufting, refinishing, and making frames. 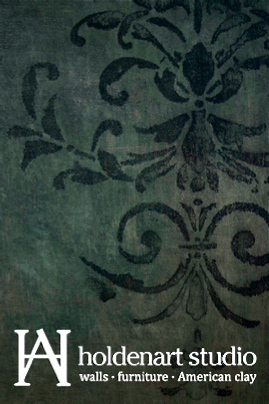 Fortuny to leather to horsehair. including new springs, webbing, foam core with down wrap. working for Marroquin five years. 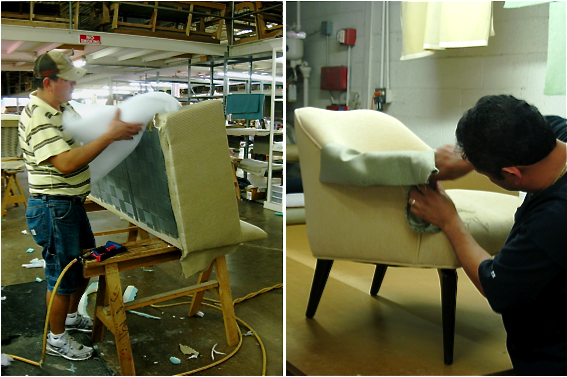 Marroquin oversees the tufting and shirring done on the settee. glamorous piece worthy of Rita Hayworth. 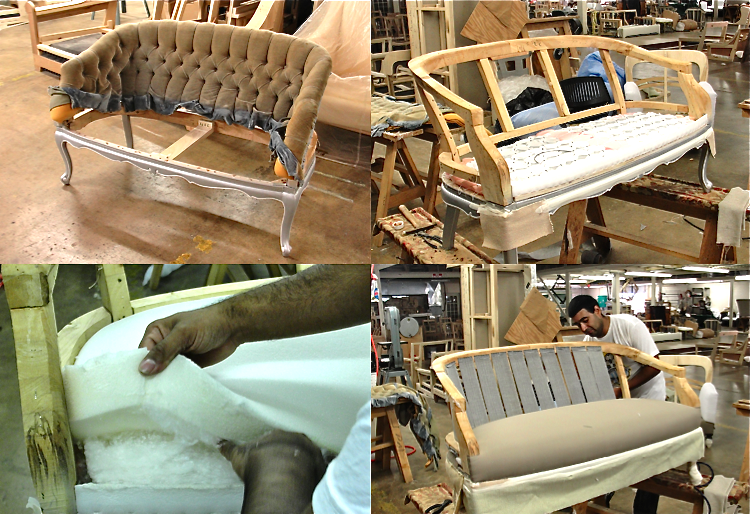 upholsterer Luis Lopez works on a chaise. 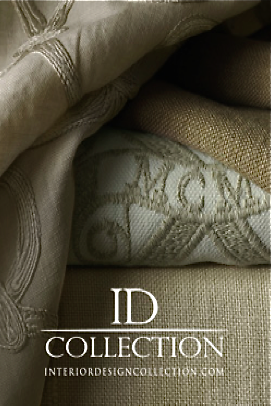 which was used in the Fort Worth's Designer Showhouse. thousands of leftover yardage in stock at Marroquin's workshop. 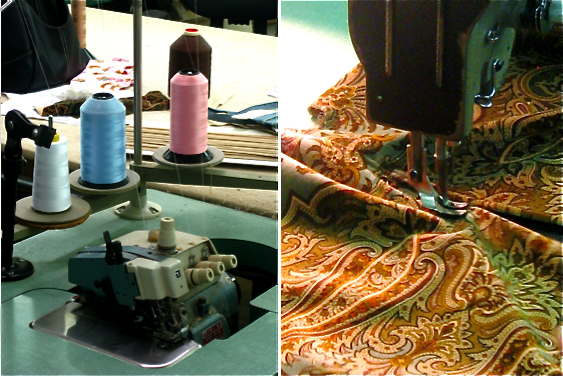 who has worked for Marroquin 26 years. similar to how a tailor fits a suit to a body. of chairs. He's been with Marroquin 9 years. that will last at least 20 years. 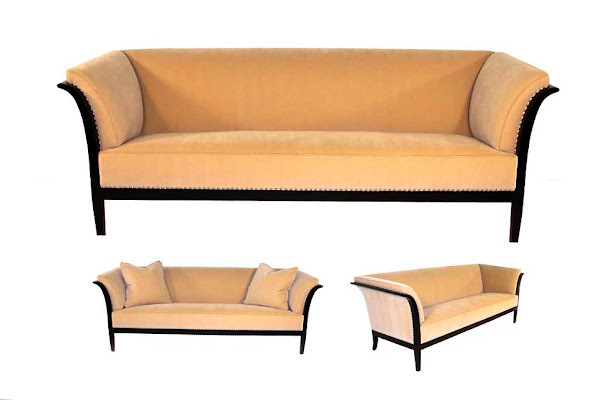 sofas, and ottomans ready to be made. "The key is to build the frame exactly right. After that, no problem," says Jesus, who can make any custom design you want from a photograph or sketch. by Ivan Marroquin in the company's photo studio. Once a piece is documented, it's ready to be crated and shipped (depending on how far it's going). They ship to Europe, South America, Mexico, Dubai and beyond. The Marroquins pose for a family portrait. "One of my dreams when I came to this country was to do furniture for the White House, and I did furniture for the White House," says Jesus, who became a naturalized American citizen in 1986. "Another dream I had was to have a beautiful wife. I am not so handsome, but I got a beautiful wife. And I dreamed to have really good kids, and I got them. I also dreamed to build this company and this facility. As you see, I came to America with nothing but a lot of dreams, but this country took me in and kept me. I made a success of my life. For a Mexican like me, this is the American dream." To view more of their custom furniture and to contact them, go to marroquincustomuph.com.